The design head honcho at Nokia has decided to out-do Sir Jonathon Ive with a future Nokia handset, revealing in an interview that the company will eventually unleash a phone that will make all other handsets look old and boring. Speaking to Finnish website Kauppalehti, Marko Ahtisaari of Nokia Design believes that the interfaces on the current crop of phones don't do anything for him design wise. He calls the user interface of the phone out-dated and refers to Symbian and Android as 'dollhouses' – where users can rearrange the 'furniture' of their OS to suit. None of this seems to appeal to Ahtisaari, who reckons Nokia is working on something which will revolutionise how we interact with our phones. Now, when we say working – according to Nokia, what Ahtisaari is talking about in the interview is concepts which were outlined at last year's Le Web, where he hinted that the future of mobile phones will be heads up, instead of heads down looking at your phone's screen. Whether this means piping content to some sort of heads-up-display (HUD) remains to be seen – but this does seem to be something that both Google and Microsoft are working on. 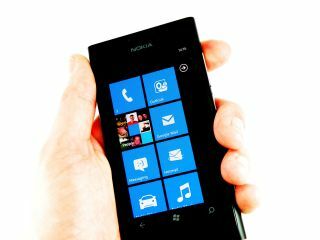 While Ahtisaari gave nothing new away in this recent interview, it did show yet again that Nokia are still looking to change things in the mobile phone market. Better late than never.